If you spent much of Labor Day Weekend watching college football and dusting off your favorite NFL jersey, you may not know that there’s another sports season in full swing right now, too. It’s called eSports and the global playoffs take place from now till late October. eSports, or competitive video gameplay, isn’t what you might think it is (ie: your Doritos-eating, basement-dwelling cousin who plays eight hours of Halo everyday). It’s a fast-growing industry with pro leagues, trainers, coaches, commentators, and major corporate sponsors like – you guessed it – Mountain Dew and Xfinity. According to a recent report by Newzoo, the global eSports market had 226 million viewers worldwide and generated $325 million in revenue last year. By the end of 2016, the industry will likely rake in $463 million. And with major networks like Turner in Atlanta and sports and entertainment investors in Charlotte, it’s no wonder Southern innovators are eJumping on board. Here are nine Southern eSports companies to watch — and if you see Carrie Underwood singing the eSports theme song on ESPN anytime soon, just remember, we called it first. 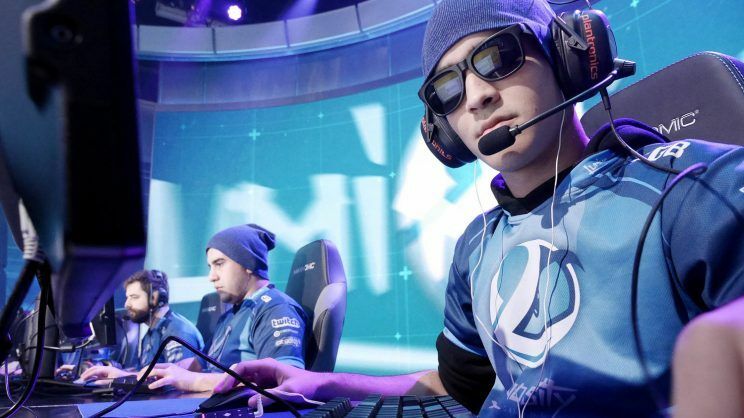 Originally based in Greensboro, Team EnVyUs recently moved their headquarters to Charlotte, NC following a high-profile deal with SierraMaya360. One of the nation’s top eSports teams, their sponsors include Monster and HyperX and they recently won the Call of Duty World Championships. Wanna get in on the eAction? Their owners have plans to build a training facility and public viewing center in Charlotte soon. Based in Atlanta, Pharaoh’s Conclave is an eSports platform that supports gamers, game designers, and the gaming community in moving from amateurs to professionals. The company hosts meet-ups and tournaments, how-to videos, and game design workshops and expos to help amateur players train, gain exposure, and meet league professionals. So if you were thinking about trying your hand at eSports, you’ll want to check them out. Charlotte-based Front Row Fantasy Sports is an app that allows fantasy sports players to give their friends a front row seat at their e-sports or fantasy games. Player’s friends can follow their games in real-time on social media, view their weekly match-up results and team management moves, and troll (er, comment on) their activity. Headquartered in Alpharetta, GA, Hi-Rez Studios is the creator of Smite, a third-person MOBA (or multiplayer online battle arena – duh) video game with pro players and teams across the world. Hi-Rez launched the game for Xbox and PC in 2011 and hosted the first Smite World Championship in Atlanta in 2015. The company is set to host the Smite Season 3 championships back in Atlanta next January with a prize pool of $1 million. State of Mind Gaming is an eSports professional organization based in Dallas. The company is in the process of establishing a pro League of Legends team with plans to add additional eSports athletes to its lineup in the future. Stay tuned as they plot their growth! Based in Nashville, GameWisp is an interaction, viewing, and monetization platform for online gamers and live streamers. The platform allows online eSports gamers or streamers to offer a monthly subscription service to fans in exchange for benefits, exclusive content, and additional interaction. They’ve raised over $960,000 since 2014 and have integrations with Amazon-owned streaming service Twitch and YouTube. Atlanta-based Scuf Gaming develops high-end accessories and customized gaming controllers for eSports and elite gamers. Over 90% of pro eSports gamers use Scuf controllers, and they’re recognized as the official controller partner of major eSports leagues like the Call of Duty World League and Major League Gaming. Since launching their first product in 2010, Scuf has been granted 21 patents, has 38 patents pending, and has an office in the UK. Cheer-e-o. For those who just can’t get eNough eSports, there’s Frisco, Texas-based PVP Live, which provides breaking news, scores, and highlights in eSports. Founded as a web platform in 2014, the company raised $2 million and launched a free iOS and Android app earlier this year to provide real-time web, social, and mobile content exclusively for eSports fans, by eSports fans. Atlanta-based ELeague is a professional Counter-Strike: Global Offensive league launched this year through a strategic partnership between Turner Broadcasting and talent agency WME/IMG. The nascent league now includes 24 teams from across the world who played their first season in May at Turner Studios’ new state-of-the-art ELeague Arena in Atlanta. They’ve got broadcasts on TBS, live-streaming on Twitch, and sponsorships from Arby’s and Credit Karma, and their second season starts in October. Are there other Southern eSports gamers, teams, developers, or investors we should know about? Share with us on Facebook or Twitter!